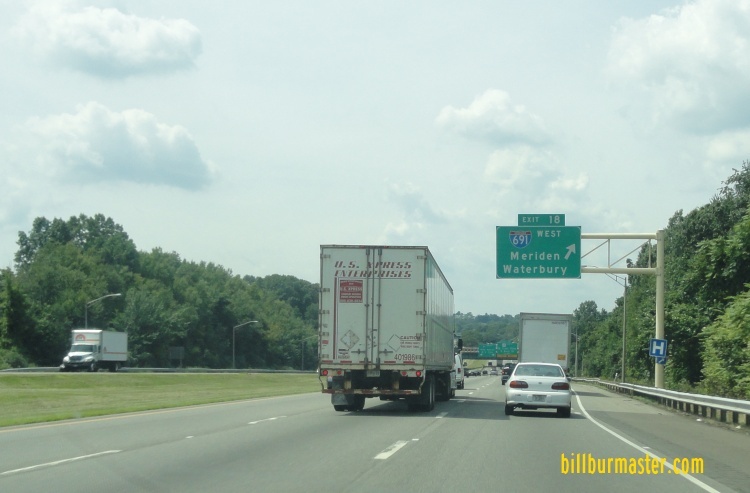 Interstate 91 is a north-south highway in Central Connecticut. 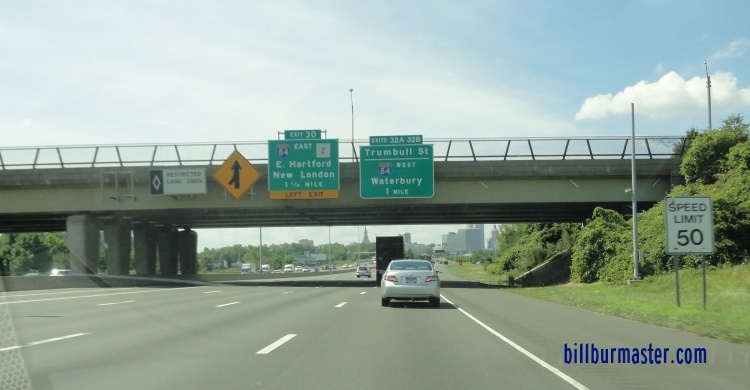 It runs from Interstate 95/Connecticut Turnpike, at New Haven, to the Connecticut/Massachusetts State Line, near Enfield. It follows the path of the Connecticut River. 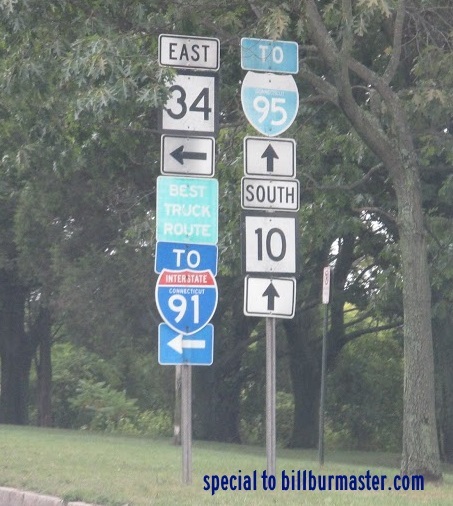 While in Connecticut, I-91 is multi-plexed. ...U.S. Rt. 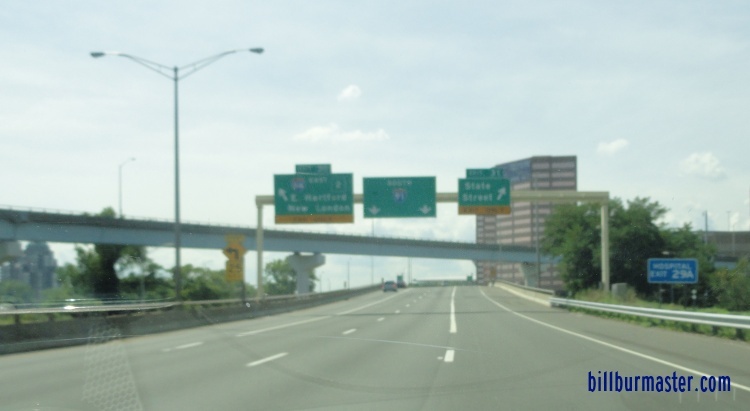 5, at Hartford. 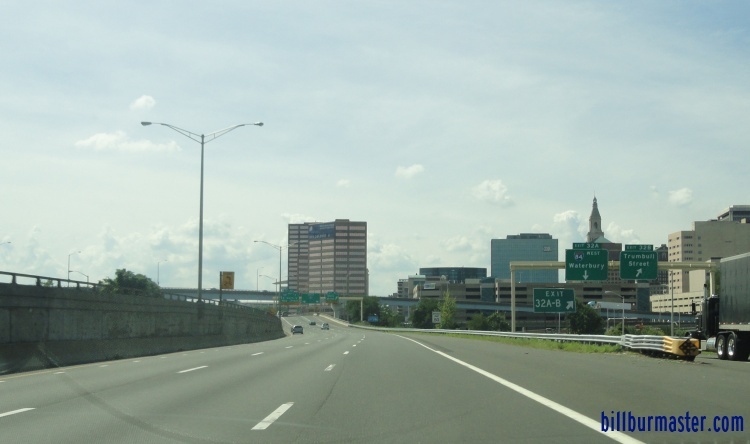 ...Connecticut State Route 15, at Hartford. 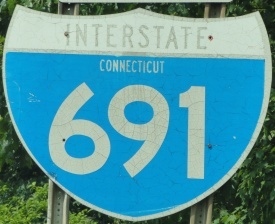 In Connecticut, Interstate 91 crosses the following interstates. 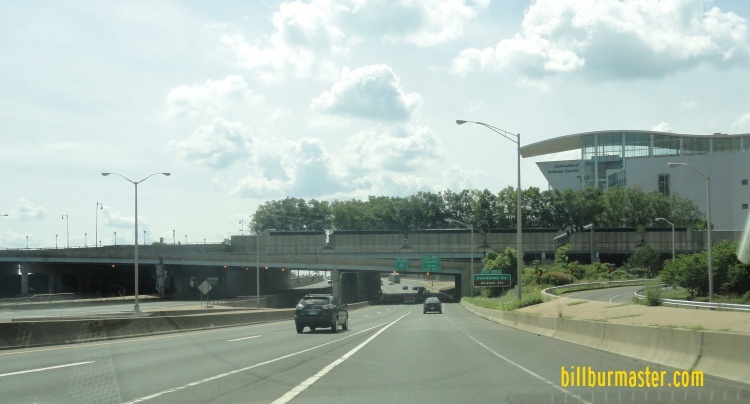 Interstate 95, (Connecticut Turnpike) at New Haven. 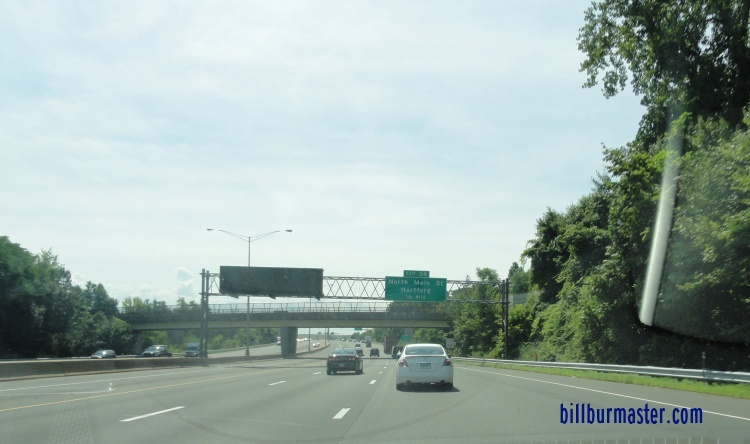 SB I-91 one mile from I-691. 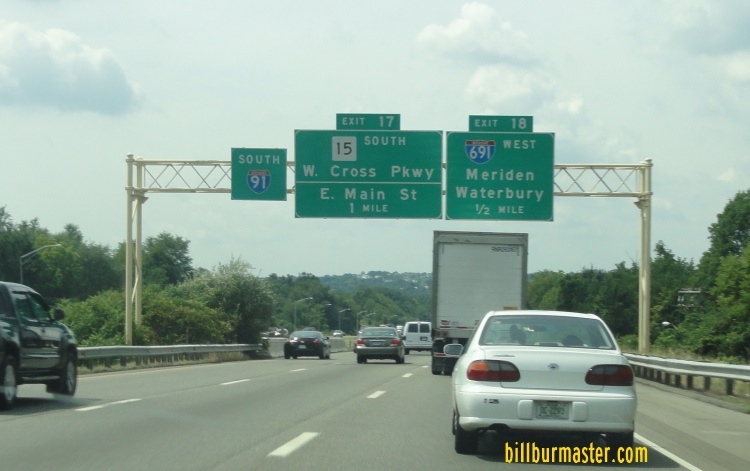 SB I-91 a half mile from I-691. SB I-91 two and a half miles from I-84. 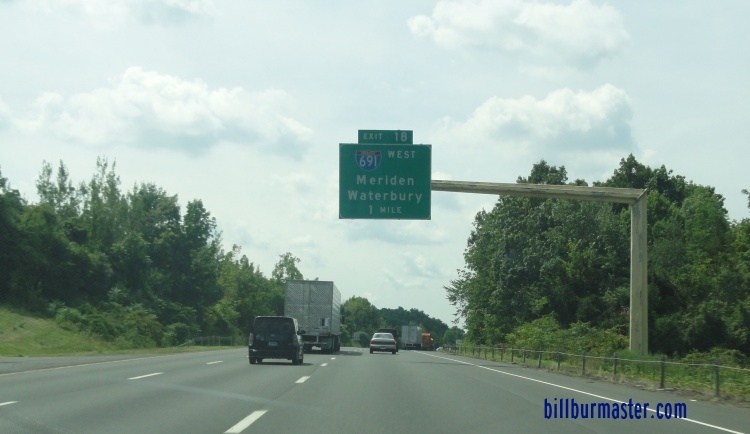 SB I-91 one mile from I-84. 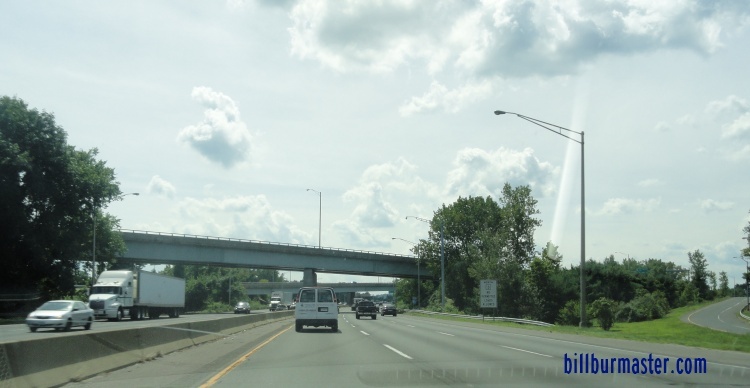 SB I-91 a half mile from I-84. 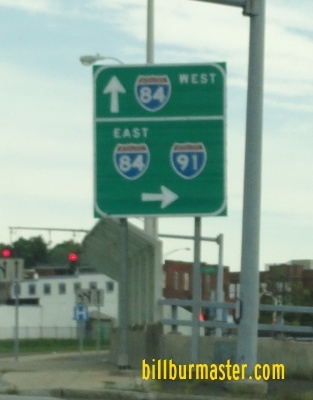 SB I-91 at WB I-84. 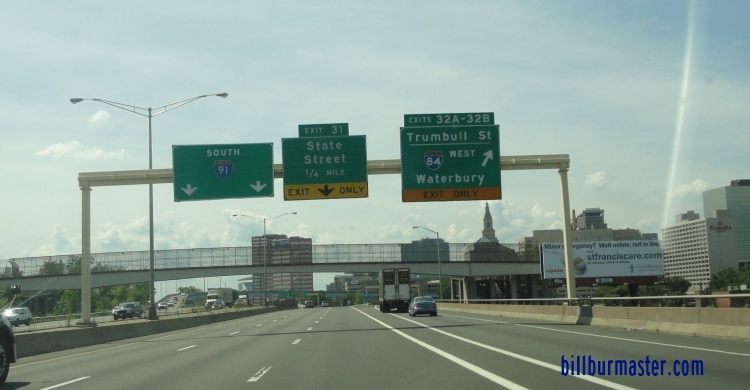 SB I-91 at EB I-84. 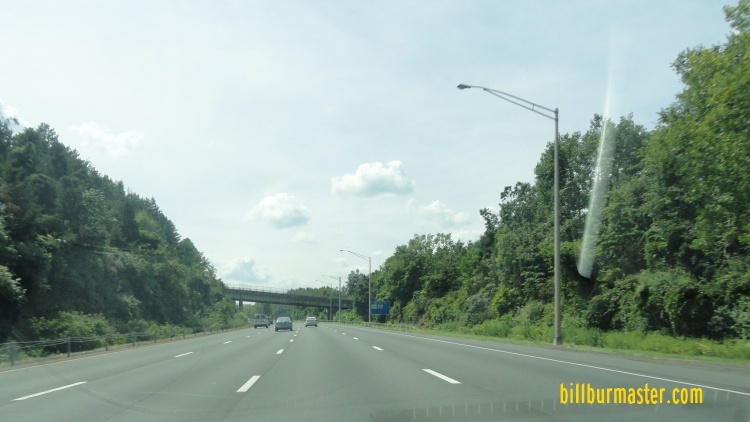 Branches of I-91 in Connecticut. 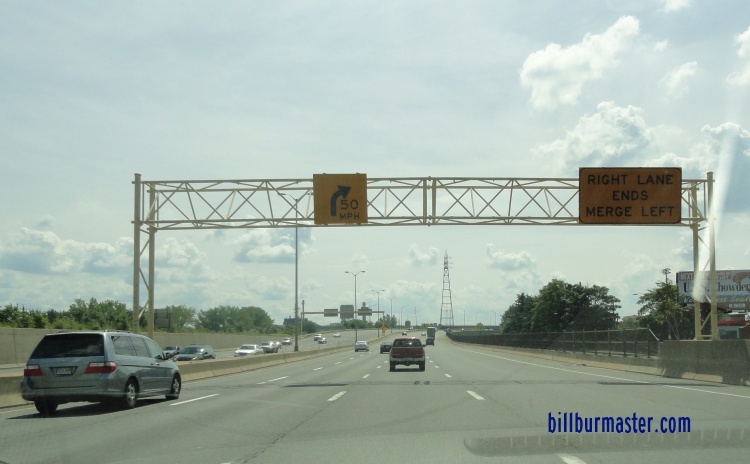 SB I-91 south of I-291. 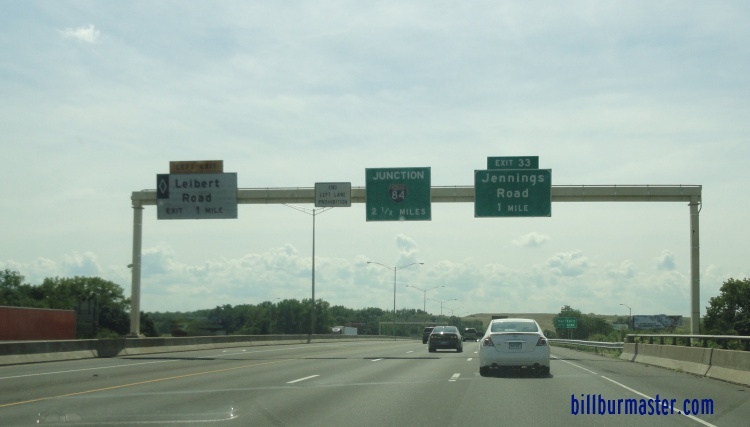 SB I-91 at I-84/U.S. Rt. 6-44. 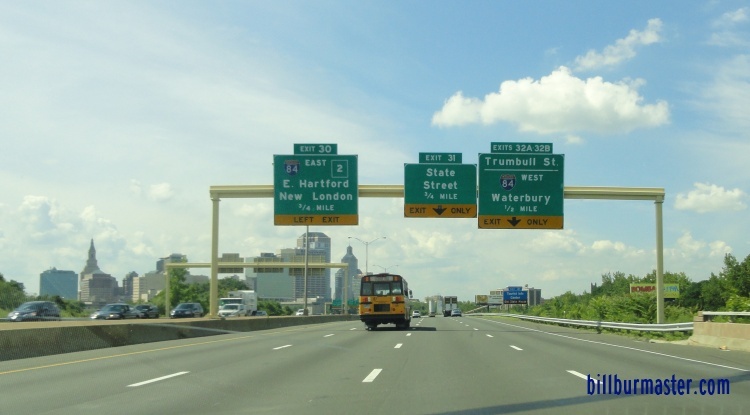 SB I-91 near the Connecticut Science Center. 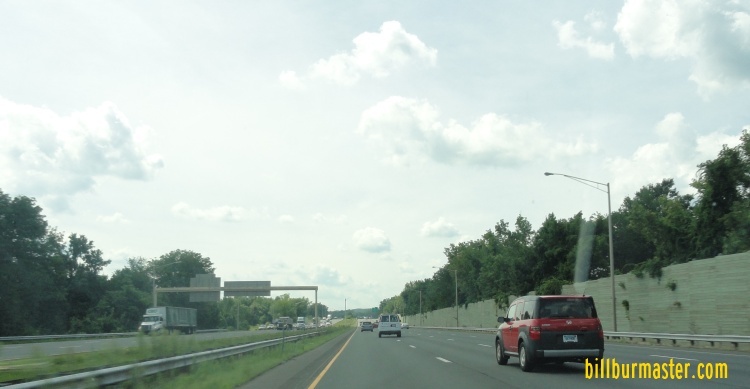 SB I-91 near Dillon Stadium. 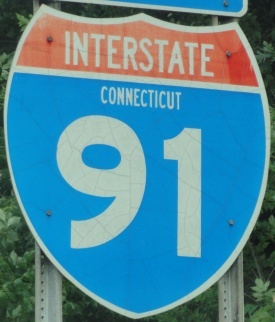 SB I-91 at CT St Rt 3. 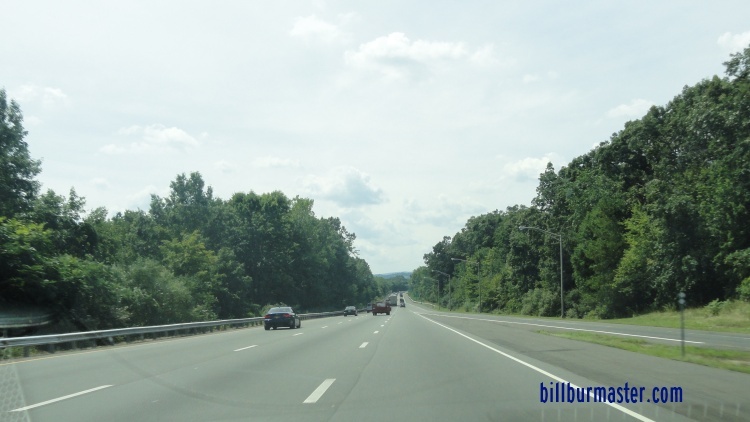 SB I-91 near Rocky Hill. 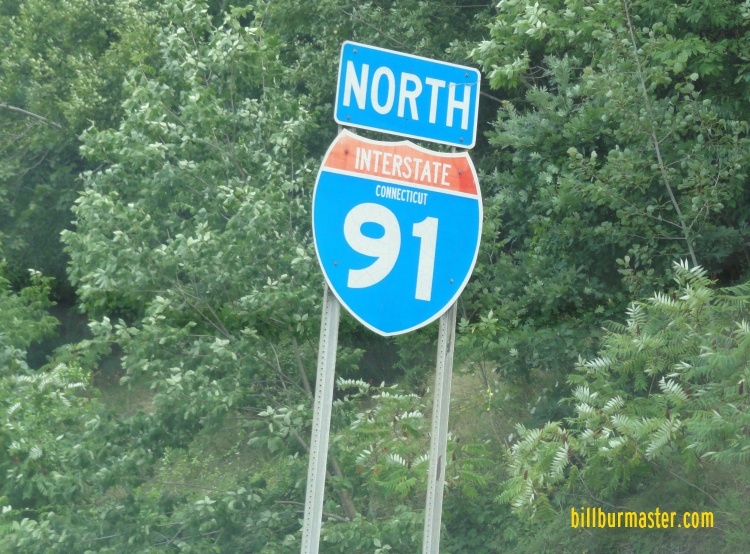 A guide marker on NB I-91. 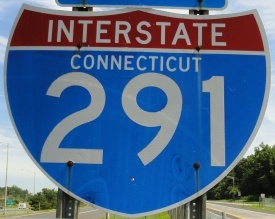 A guide marker on EB CT St Rt 34.